In which Vlad Taltos finds himself, much to his surprise, at the fateful Battle of Baritt's Tomb. 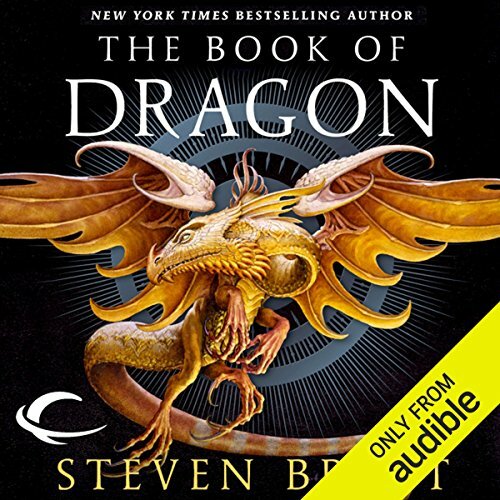 ©1998 Steven Brust (P)2012 Audible, Inc.
To those who I believe would enjoy Brust's Vlad Taltos series (those I've not already suggested it to), I might recommend the audiobook, but really I'd lean more to recommending the novel.Maybe after having read the novels in this series, the voices, tone and inflection used, just seemed off. This was most notable with Morrolan, and especially for Kragar. The droll, sort of stuffy voice just didn't seem to fit for the banter between them and Vlad. Everyone else worked okay, but these two important characters just didn't work, and detracted from the story for me. What was one of the most memorable moments of Dragon? Vlad working to initially fit in with the veteran soldiers of his company. Who would you have cast as narrator instead of Bernard Setaro Clark? The narrator, Bernard Clark, is good, just not right--or didn't create the right voices--for this work--at least as I listened to it. Dragon is my favorite novel in the series. That's why I selected it to give a shot with the audiobook version. My my my, Vladimir really out did himself this time! this story was fantastic, riveting, and profound in the sense that he ACTUALLY stuck it out as a soldier! Not only that but he was a main operative for Morrolan and Sethra, making his role vital to their plans. I loved how Vladimir had such a huge part to play but yet remained humble and bugging out was not his first response. A true testament to his courage and commradery. I was pleased with this book!